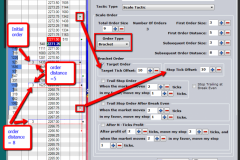 How to Place Scale Orders on the PhotonTrader Matrix. 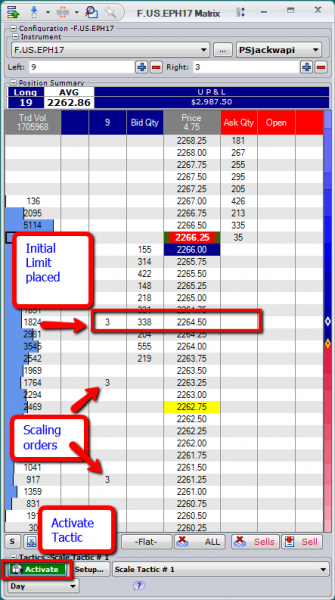 Scaling orders in PhotonTrader are considered Tactics, and are set up by using the Set Up button at the bottom of the Matrix Window, selecting New Tactic, and inserting the desired name for the order group. 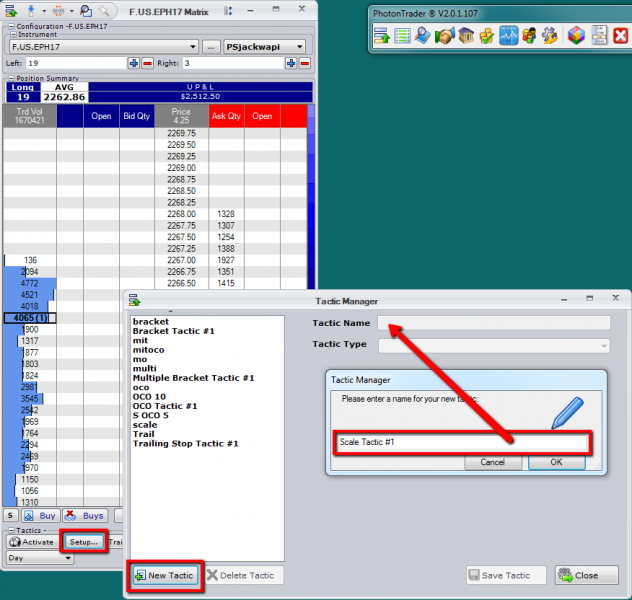 Click OK.
Once the Order Type is selected, all of the desired conditions can be configured including Total Order Size and distance. 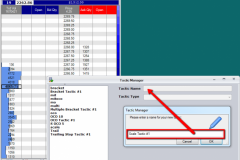 In order to change the Scaling modification parameters on a specific order, use the +/- or type in the desired offset value, or type in the amount in the appropriate field. 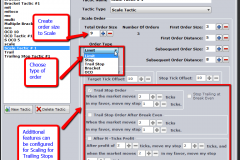 Set the Total Order Size, and the offset parameters for the desired Scaling protocol. 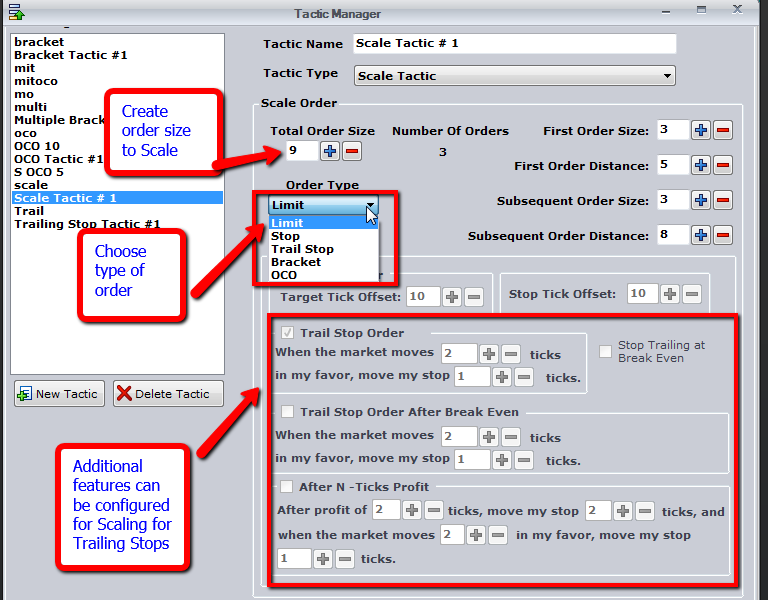 The Scaling Tactic can be enabled by selecting the condition from the drop down, and clicking the Activate Button . 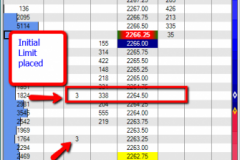 The next Order placed at the initial order price. 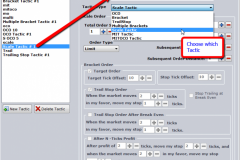 The subsequent orders will be placed per the configuration that has been set. 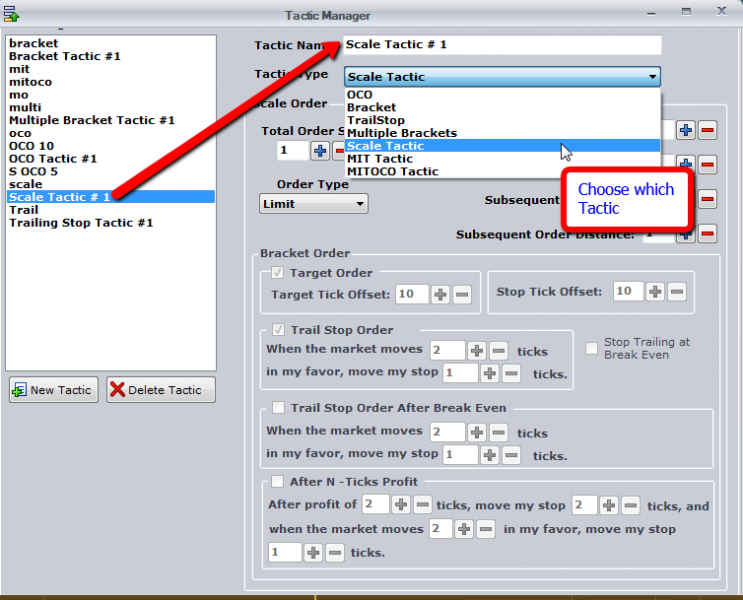 More Complex orders such as Brackets can also be entered as Scale Orders with additional configuration of input variables. 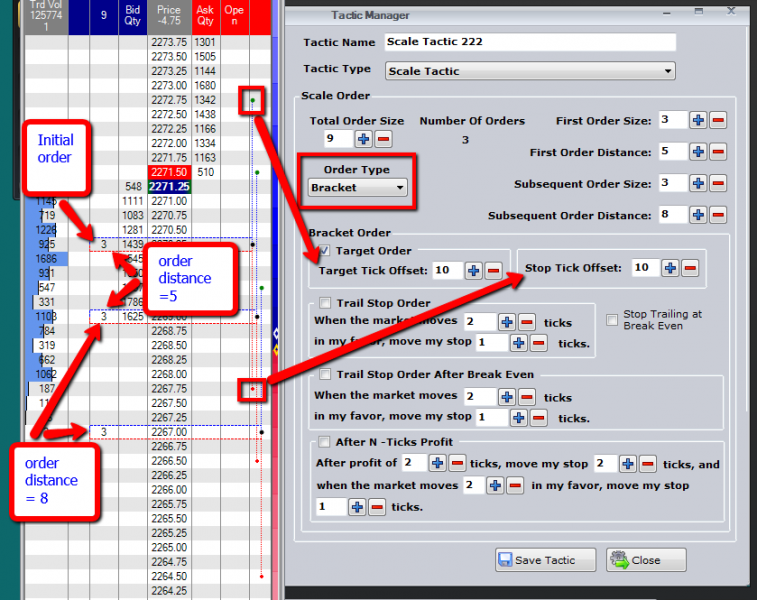 Each Scale Order has a corresponding conditional Target and Stop.